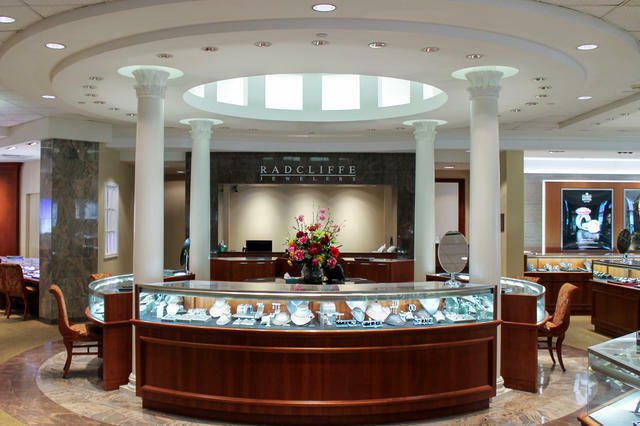 Radcliffe Jewelers offers Baltimore’s luxury shoppers an unparalleled selection of fine Swiss timepieces, heirloom-worthy and fashionable jewelry, and an exceptional selection of giftware. 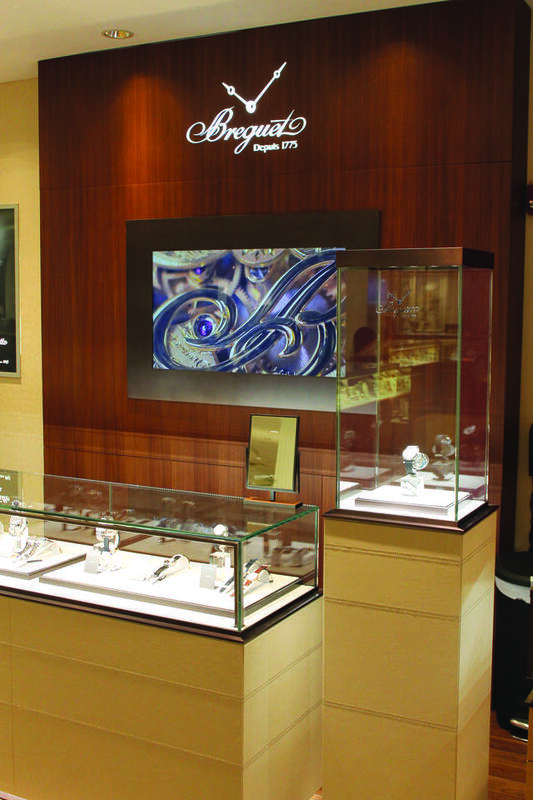 From its beginnings as a modest, three-employee, 750-square-foot operation in 1983, Radcliffe Jewelers has since evolved into one of the country’s premier luxury shopping destinations. Under the thoughtful leadership of partners John Shmerler and Paul Winicki, the two magnificent Radcliffe Jewelers locations attract a discerning and loyal clientele. The recently renovated, two-story Pikesville location features multiple shop-in-shop experiences. The first floor has been enhanced to include boutiques from Breitling, Cartier and Rolex, each adding to its already captivating collection of the finest selection of luxury merchandise. The impeccable selection of timepieces also includes Jaeger-LeCoultre, IWC, Officine Panerai and many more, to complement stunning jewelry from designers such as Paul Morelli, Penny Preville and Pomellato. The second floor showcases expansive choices in china, crystal and giftware, an unrivaled assortment to delight any bride and groom creating a registry. “Everyone in our company is so proud of the renovation and installation of the new environments. 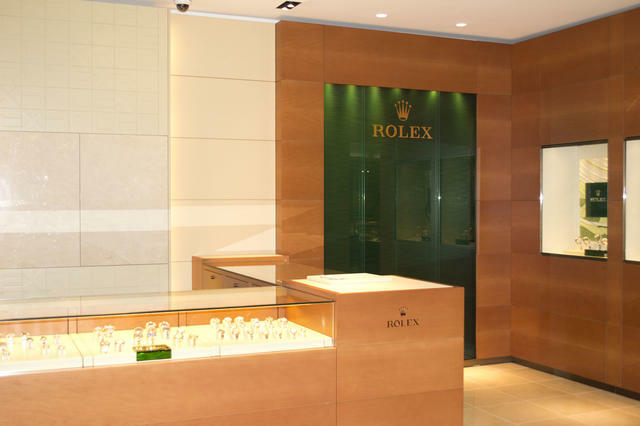 Adding the Rolex and Cartier brands to our portfolio of offerings is great for our clients,” Radcliffe Jewelers’ owner John Shmerler shares. The Radcliffe location in Towson is equally as impressive. It is touted for having one of the largest bridal and engagement ring selections across Maryland. 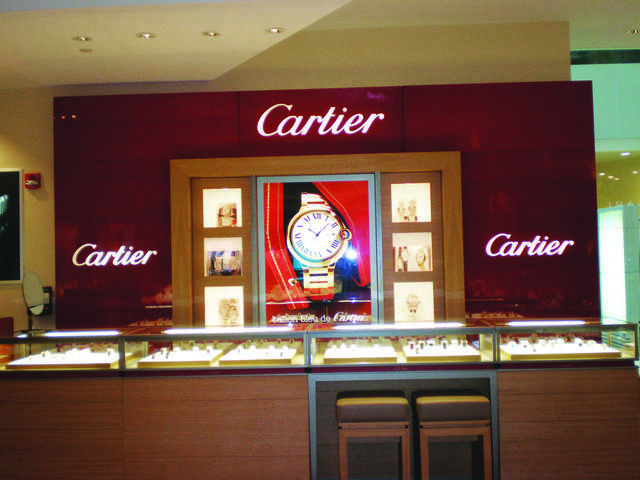 The elegant showroom features collections from renowned Swiss watch houses, including Cartier, Breguet, Tudor and more. The jewelry selection is extensive and exquisite, featuring well-known brands such as Roberto Coin, Mikimoto, Bulgari and Elizabeth Locke. Radcliffe’s Towson location also maintains an active estate business, purchasing luxury timepieces from clients, and also offering an extensive collection of pre-owned timepieces for sale. And in 2013, Radcliffe welcomed a pre-owned handbag boutique to this location, where clients delight in the discovery of vintage wares by Hermès, Chanel and Louis Vuitton. Three cornerstone ideals have guided the company since its founding: service, selection and customer satisfaction. Radcliffe regularly goes above and beyond, creating the ultimate shopping experience for its discerning clientele. Nearly 70 highly trained and passionate associates comprise the Radcliffe Jewelers team, each committed to furthering the company’s reputation for excellence. They impart sincere enthusiasm with each client interaction, welcoming inquiries and helping to further individual experiences in horological discovery. Talented jewelers, craftsmen and watchmakers also maintain important roles, as they ensure that all watch and jewelry needs are met with great care. Throughout the year, Radcliffe designs and hosts many exciting events, focusing on providing unique opportunities for its customers. Events range from collection launches with celebrated watchmakers to in-store trunk shows highlighting the collections of favored jewelry designers, sponsorships of cultural happenings in the Baltimore community and many philanthropic endeavors. Among Radcliffe Jewelers’ annual traditions is its vibrant Holiday Show, which customers, friends and industry partners have certainly come to anticipate. Also in 2016, Radcliffe Jewelers traveled to New York City to visit John Hardy’s showroom and meet the experts; they also availed themselves of an Artisan Masterclass, which was a behind-the-scenes look at the craftsmanship that goes into each piece of John Hardy Jewelry. In April, artist and designer Michael Aram visited for a showing of his Spring 2016 fine jewelry and home décor collections. The company culture is not limited to in-store activity, as Radcliffe offers clients a comprehensive digital experience as well. A recently re-launched website conveys the breadth of available product, and Radcliffe’s team maintains a strong presence on a host of social media platforms, including Facebook, Twitter, Instagram, Pinterest and an engaging company blog. Under the leadership of Paul Winicki and John Shmerler, Radcliffe Jewelers continues to thrive. Keeping its founding ideals of service, selection and customer satisfaction close to heart, the company is well poised for many more years of success.